Central Otago writer and editor Michael Harlow has published ten poetry collections. Fiona Kidman describes him as ‘a distinguished and serious writer, dealing with big issues: life, death, sorrow, the inner consciousness, yet there is a bubble of gaiety, a vitality, never far from the surface’. Among his many achievements, in 2014 Michael received the Lauris Edmond Memorial Award for Distinguished Contribution to New Zealand Poetry, his latest book of poems, Nothing For It But To Sing (OUP, 2016) won the Kathleen Grattan Poetry Prize (2015) and Michael has recently been awarded the 2018 Prime Minister’s Award for Literary Achievement in poetry. His multiple residencies and fellowships include: the Randell Cottage Writer-in-Residence (2004), Burns Fellow, University of Otago (2009), Inaugural Caselberg Artist-in-Residence (2009), and the Wallace Artist/Writer in Residence (2011-2012). He has won the PEN/NZ Best First Book of Prose (1986), been finalist in the National Book Award for Poetry (1991), and finalist in the NZ Post National Book Award for Poetry (2010). Most recently, Michael received the PSNZ/Beatson Fellowship Award (2016). His work has been translated into Greek, French, Spanish and German. Associate and Poetry Editor at Landfall for ten years, Michael was also editor for the Caxton Press Poetry series, publishing the early work of some of New Zealand’s leading poets, and contributed as mentor to the work of many well-known others. He has been panellist and judge for NZ and International Poetry competitions, and represented NZSA on the Burns Fellowship selection committee (three terms). 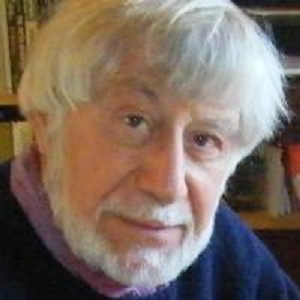 He was co-founder and editor of Frontiers/a Magazine of the Arts, past president/chair of the Christchurch PEN branch, was a New Zealand/Oceania Representative – as a poet, translator, and speaker – at international festivals, and also for the European Association for Commonwealth Literature in Laufen, Germany and Istanbul, Turkey.